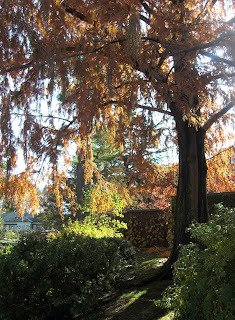 On a sunny, chilly day, we admired the tree with the deep golden foliage and long brown panicles. Standing much taller than its neighbors, it greets visitors approaching the mansion at the Hillwood estate. We cornered one of the gardeners. "Excuse me, but can you tell us what that tree is?" We learned that it is a dawn redwood, a metasequoia. This ancient species was known only as a fossil until 1941, when some of the trees were found in China. Now they have been propagated and nurtured in other parts of the world. 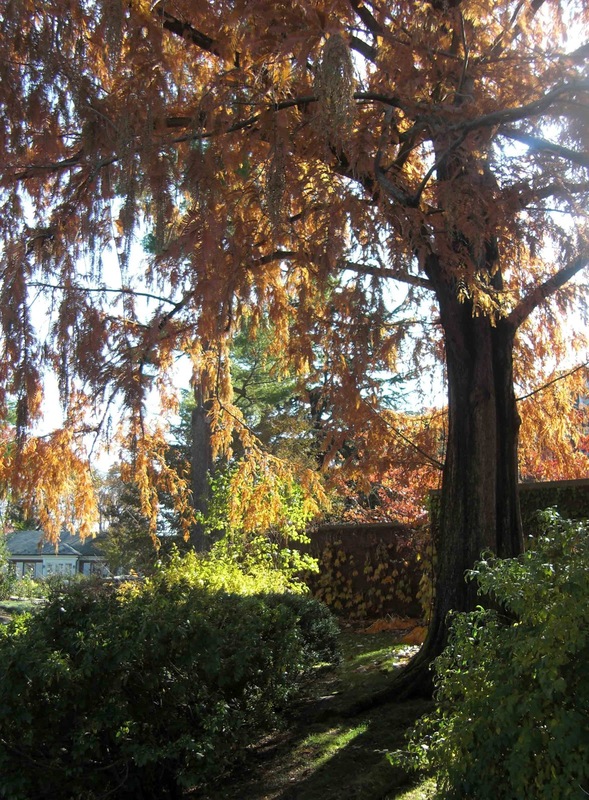 Aside from their unusual height, they are deciduous conifers, shedding their needle-like foliage. I've been to Hillwood several times. I saw this tree every time but never really SAW it until it was clothed in gold, draped in seed jewelry and lit up by the sunshine. So often we look but we do not necessarily see.